Brands are employing marketing agencies to help with a wide range of social media efforts, including content creation, monitoring, strategy, and campaign analysis, according to recent research from Simply Measured. The report was based on data from nearly 1,000 social media marketing professionals who work for agencies. 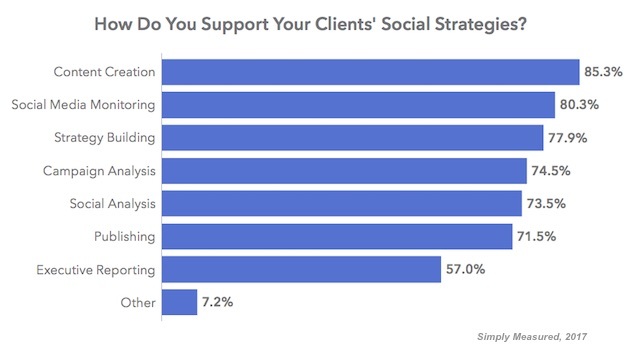 Some 85% of respondents say they help clients with social media content creation, 80% help with social media monitoring, 78% with strategy, and 75% with campaign analysis.